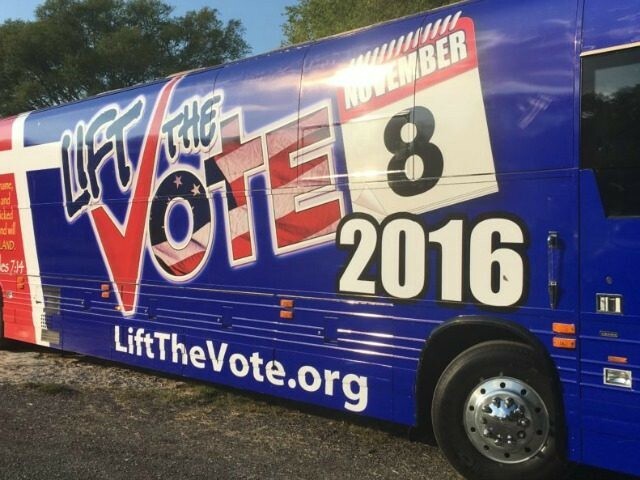 NASHVILLE, Tennessee–“Lift the Vote” is launching “a three bus, multi-state tour intended to increase voter participation among Evangelical Christians.” The tour begins in Nashville on Friday. According to the project’s website, 9 million Christians are not registered to vote, and 8 million are registered but do not vote. “Our votes are our voice. All the talk and opinions mean nothing if we don’t vote,” Dana Hunsinger Gill, co-Chair of Lift the Vote, said in a statement announcing the bus tour. When Christians don’t vote we silence what we know and our voices, allowing others to choose our leaders, the direction of our nation, and the critical policies that affect us and our families. From the Supreme Court to the protection of religious liberties for all, to issues that directly impact the moral decline that we have been experiencing for too long, it has never been more important in my lifetime for Followers of Jesus to be organized, pray together, and vote. This effort is not about convincing Christians to vote for or against any particular candidate for any office. It IS about urging our Brothers and Sisters in Christ to pray for God’s guidance, to VOTE in accordance with His will, and to encourage others to do the same things. 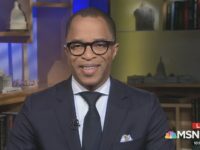 The tour will be conducted in nine key swing states where polls of the presidential contest between Democrat Hillary Clinton and Republican Donald Trump continue to tighten. Though the purpose of the tour is to focus on voter registration and voter participation among Evangelical Christians, and does not promote a particular candidate for any office, recent polls indicate that likely Evangelical Christian voters favor Donald Trump over Hillary Clinton by a wide margin. “Voters in Iraq in 2005 dipped their fingers in purple ink as they cast their first votes and images of those upheld fingers becoming a symbol of their pride in participating in a free election process,” Gill said. “They risked their lives to cast their votes. We encourage Christian voters to draw a small red cross on their forefinger and proudly display it as a demonstration and reminder of our commitment to choose our leaders by voting in this election,” she added. This weekend the buses will be at the Appalachian State versus Miami (FL) game in Boone, North Carolina early Saturday morning and at the Wake Forest Delaware game in Winston-Salem, NC later in the day. A second bus will be at PointFest in Sandusky, OH on Saturday and in Pittsburgh on Sunday for the Pittsburgh versus Cincinnati game at noon. Additional tour stops will be posted on the Lift the Vote website.